If you need a Fax conversion to PDF, TIFF JPEG .TIF and .JPG files Batch Converter service, then contact our friendly company. 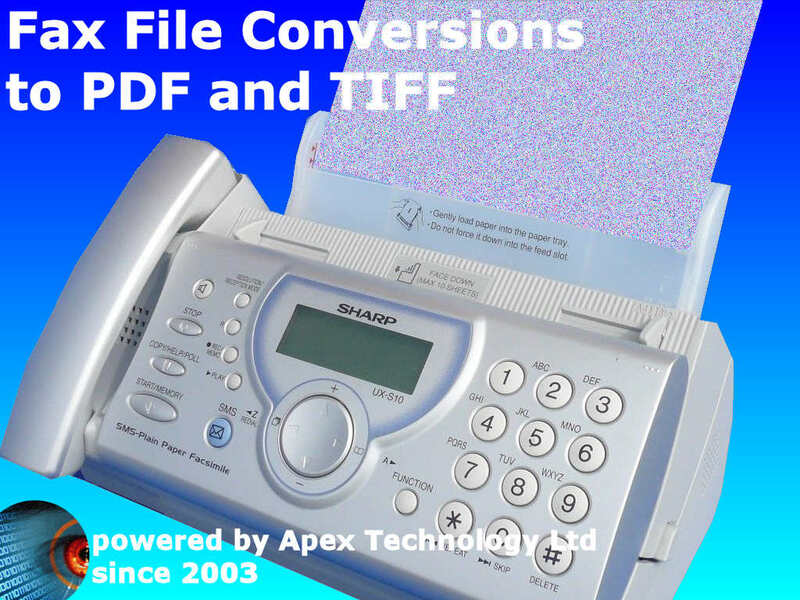 Batch convert fax files to PDF TIF, JPG or other formats then contact us. We handle many types eg. decoding faxes encoded using CCITT Group 3 (g3, g31d) g4, Group 3 2D ( g32d ie. 2 dimensional) and Group 4 g4. Also fax, raw, mr, mmr. Faxes may be created by software such as faxwizard winfax BitFax quick link APRO MS zetafax, Kofax ds, Digi-fax, Microsoft fax etc.